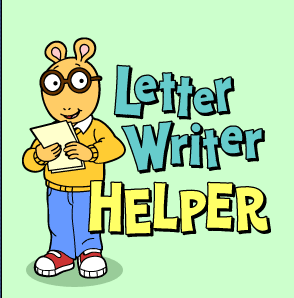 Arthur is going to help you learn the parts of an email message. Drag your mouse over each part of the email. Look for the red text as he shares important information about each part. When you are done, return to this page. The link below will take you to a new tab. Let's take a look at the letter and email below. Do you see any similarities? Do you see any differences? Watch the video below carefully! You'll need this information in the next activity! Composing an email is simple but you must be sure to type items in the correct parts of the email. Take the quiz below. After you complete the quiz, check your email on your iPad immediately. 1. Log into the network on your iPad now. 3. Compose a new message and enter your teacher's email address. 3. 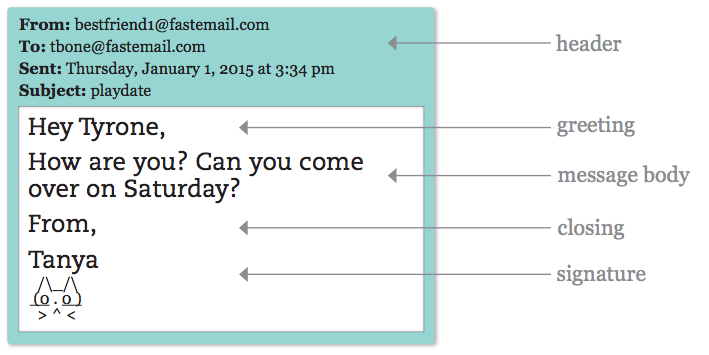 Create a reply to your teacher by composing an email that will answer her questions.